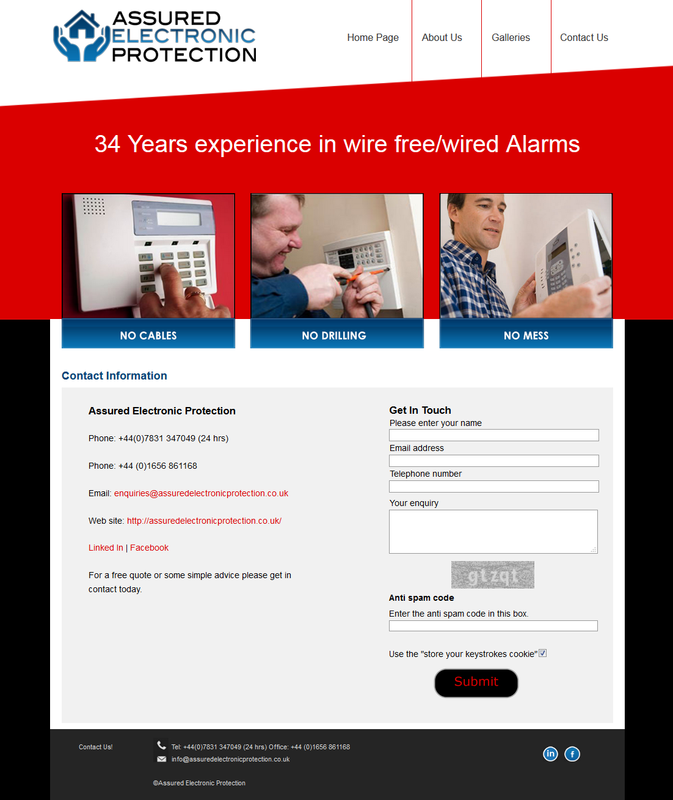 Assured Electronic Protection are a small family run intruder alarm installation firm based in Bridgend covering South Wales area. 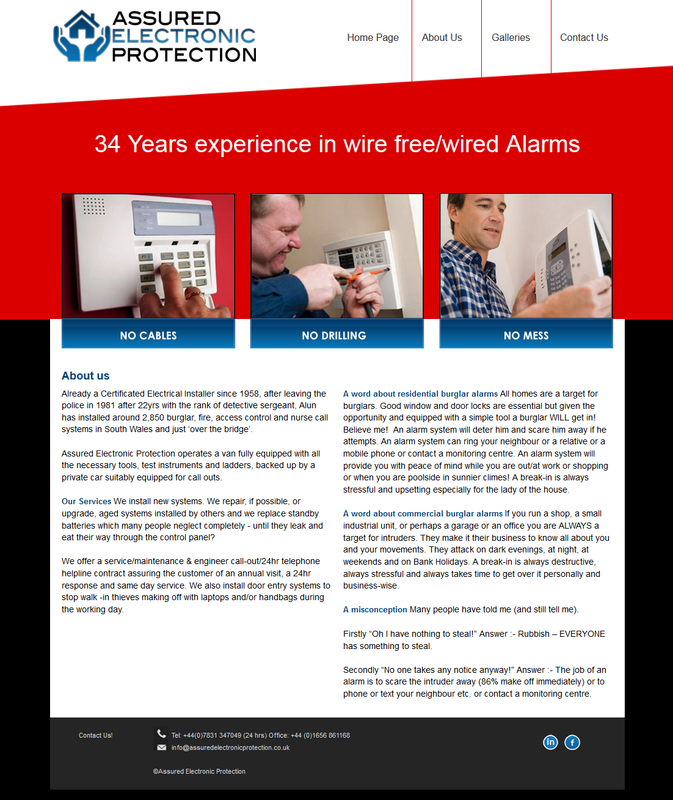 They use high quality systems, giving the customer the choice of the latest wire-free (radio) systems or the still popular conventional wired systems. 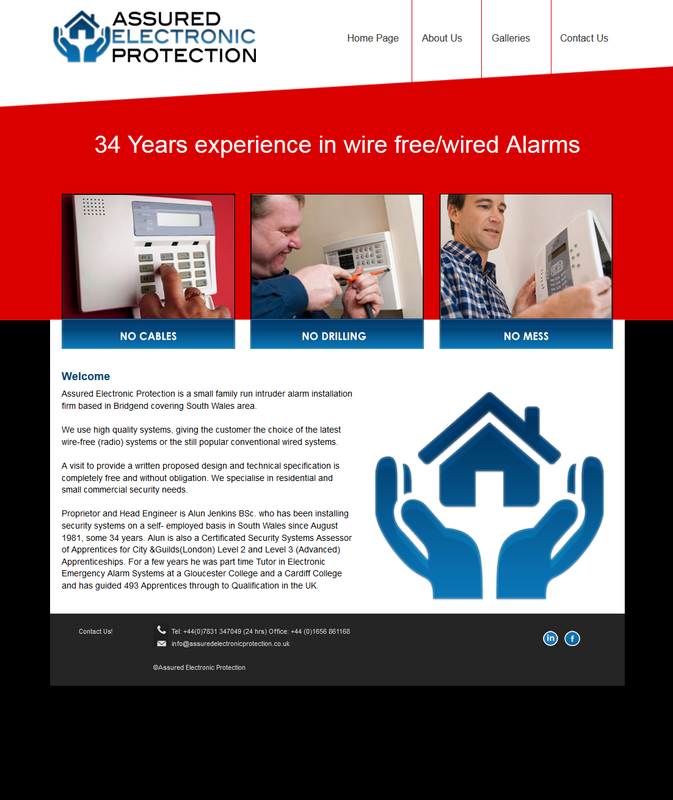 A visit to provide a written proposed design and technical specification is completely free and without obligation. They specialise in residential and small commercial security needs, why not give them a call and see how they can help you.